I didn’t put on my MCC “To Remember is to Work for Peace” button this morning, my standard adornment the week leading up to Remembrance Day when Canadians en masse begin to display the traditional red poppies on their lapels and pockets. And it’s not because I’m in Ottawa, heading to the House of Commons with the MCC Ottawa Learning Tour for Anabaptist Editors. Rather, it’s all about communication. I’m concerned that others may misunderstand my displacement of the traditional poppy flower as a rejection of sacrifice of the soldiers. While I certainly reject violence and war as a means of resolving conflict, of seeking a greater good, or even for stopping a raging dictator, I don’t want to minimize the suffering and sacrifice of the soldiers nor the pain their permanent absence left for their loved ones. I don’t want to reject out of hand the genuine intentions of our society to honour those who gave their lives, ostensibly, for others. However, this isn’t about strategic analysis or a greater good or theological ethics. Rather, my concern is about what others understand me to be declaring. What do I communicate with my “To Remember is to Work for Peace” button? I fear that for those who proudly or solemnly wear the poppy, my alternative button is a barrier to communication rather than an invitation. Everyone knows the bearer’s position, but communication ends there. And I’m not as convinced of the effectiveness of these anonymous declarations as I once was. I also have come to realize that not all who wear the poppy flower are warmongers. Wearing the poppy has a number of different and not necessarily contradictory meanings, some of which I have less problems with than others. For example, for over 85 years now, The Royal Canadian Legion has been selling the paper flowers to provide assistance to needy ex-servicemen and their families, to build housing for seniors, and to support programs like meals-on-wheels, drop-in centres, etc. Providing basic needs to folks in need, it seems to me, is not a bad project. Moreover, over the past decade, as I’ve become friends with several police officers, I’ve learned that my stereotypes of those who don’t share my radical, faith-based pacifism are exactly that — stereotypes. I’ve come to see that most of us share the same goals — a peace-filled life, society, and world. Dialoguing about how to move toward that goal is more useful than sloganizing as we try to shout louder than the other side. So what shall I do tomorrow morning with my “To Remember is to Work for Peace” button? Shall I wear both a poppy and a peace button? What are you wearing this week? Participating: Canadian Mennonite of Mennonite Church Canada, MB Herald of the Canadian Conference of Mennonite Brethren Churches, EMMC Recorder of the Evangelical Mennonite Mission Conference, The Messenger of the Evangelical Mennonite Conference, Courier of Mennonite World Conference, and MennoMedia. This entry was posted in Peacebuilding and tagged MCC, Mennonite Central Committee, militarism, ottawa office, pacifism, parliament, peace, Peace button, peace-building, peacebuilding, Poppy button, Remembrance Day, Royal Canadian Legion, To Remember is to Work for Peace, Veterans, war by Tim Schmucker @ MCC Ottawa Office. Bookmark the permalink. Mennonite Central Committee's Ottawa Office witnesses to government on issues of peace, justice and human dignity that arise out of MCC's work at home and around the world. We work with a number of coalitions while trying to bring a unique, Anabaptist perspective to the work of political engagement. MCC Ottawa is motivated by the conviction that loving our neighbours compels us to witness to government. Wearing the peace pin instead of or as well as a poppy marks you as different, possibly inviting questions or discussion. By just wearing the standard poppy, no one is going to know you think differently about war than most of society. I think the words themselves strike a balance – remembering and working for peace. They don’t say “all soldiers are wrong” or even “ban war”. White poppies are another option that could invite dialogue. Thanks for your thoughts Tim, although I come to a different conclusion about wearing the peace button vis-à-vis ‘sloganizing’. Yes, the button MAY display a stereotype, but no more than a poppy does. In my mind, stereotypes are not un-true. The danger of stereotyping is when that becomes the sole story. There needs to be alternatives to the ‘single story’ – both ways. In that sense, the button for me creates space to talk and seek common ground about remembering all who have been harmed by war. Thus, I wear only the button year round as a “slogan” against of the disaster of war and as an invitation to “dialogue”. Not wearing a button would not afford the opportunity for exchange. I am wearing two poppies, white and red. This often prompts questions, which usually lead to a good discussion about war and remembrance. I explain that to me, the red poppy remembers those who died fighting in wars, while the white remembers all the civilians they killed. And then I can make the link to ending and preventing war today, sometimes using the “to remember is to work for peace” slogan. I was born into a mennonite family. I am a follower of Jesus. I know little to nothing about Menno Simons. I am deeply offended by the MCC pin. I am more offended by the white poppy. How dare we offer a competition to the red poppy that I wear proudly. 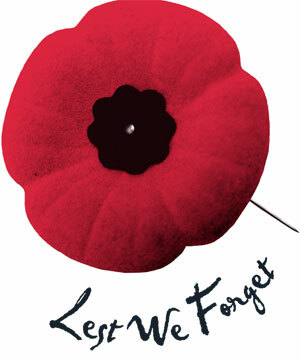 Men and women died (and yes killed) so that we can have peace in Canada. I am so torn in my view of war. I feel proud of my ancestors for taking a moral stance against killing. I also feel a deep respect for current and past soldiers for their service. I assume that every penny raised from the peace pin and white poppy would go to veterans right! ? I am more confused in my war-and-peace stance now than when I was 20 years old. I know this though. I wear a red poppy. I thank service men and women. I thank God for peace. If one or more of my children chose a military career I would be proud of them. Hi Rod, Thanks for your note and for letting us know how you feel. You mention that you know little about Menno Simons and his views. We’d be happy to send you a booklet which might be helpful and which would explain a bit about MCC’s peace stance. We’d also be very open to further conversation. Please let me know by sending an email to peace@mennonitecc.ca. Thanks and take care.